Sea cucumbers are interesting echinoderms (meaning spiny skin, related to sea stars) that live all over the world. In Hawaii they are found from tide pools, like this one, to much deeper waters. Named for their long, round shape, sea cucumbers have a leathery skin. This variety eats mostly organic matter on the sea floor and specializes in tide pools. One of the most abundant varieties in Hawaii is the maroon-colored sea cucumber pictured here. When threatened, sea cucumbers will shoot a spray of water out a small hole. This brings hours of entertainment to children. Interestingly, this same ‘expelling’ mechanism goes to an extreme when a cucumber is in serious danger, effectively shooting out much of the internal structure of the sea cucumber. Predators eat the expelled part of the sea cucumber and leave the rest intact. 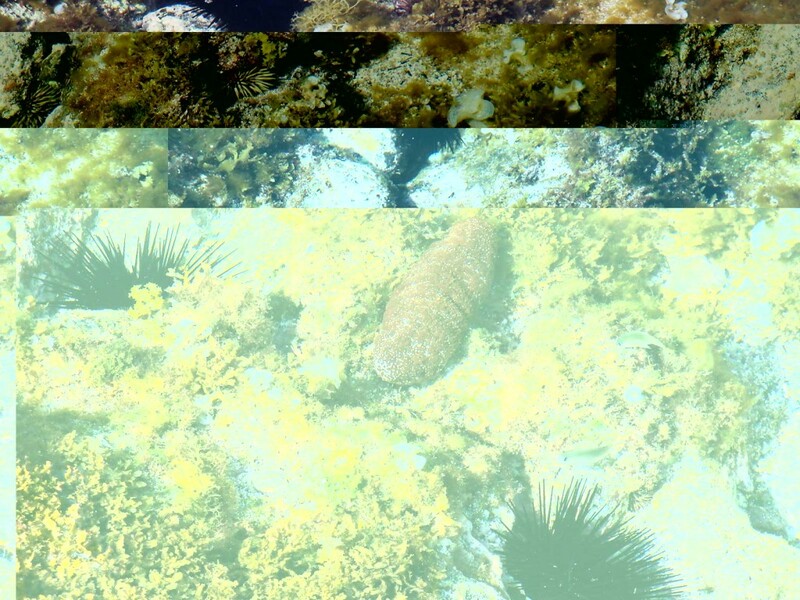 The sea cucumber then regrows its now missing stomach/intestines and continues to live.